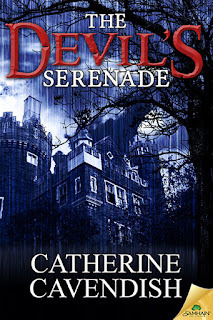 Catherine Cavendish: The Devil's Serenade - Bringing you A Scary Spring! 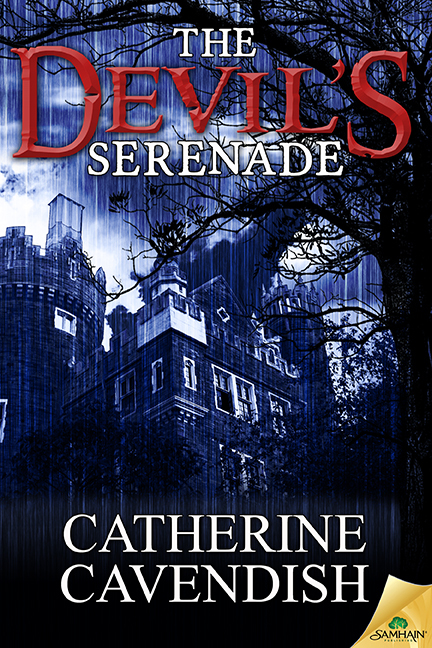 The Devil's Serenade - Bringing you A Scary Spring! A large flashlight rested on the bottom stair and I switched it on, shining it into the dark corners. There wasn’t a lot to see. A few broken bits of furniture, old fashioned kitchen chairs, some of which looked vaguely familiar, jam jars, crates that may once have held bottles of beer. The beam caught the clump of gnarled and twisted roots that intertwined with each other, like Medusa’s snakes. I edged closer to it, my heart thumping more than it should. It was only a tree, for heaven’s sake! The nearest one was probably the willow. Surely, that was too far away? I knew little about trees, but I was pretty certain their roots couldn’t extend that far. I examined the growth from every angle in that silent cellar. The roots were definitely spreading along the floor and, judging by the thickness and appearance of them, had been there for many years. Gray, like thick woody tendrils, they reached around six feet along and possibly four feet across at their widest point. I bent down. Close up, the smell that arose from them was cloyingly sweet. Sickeningly so. I put one hand over my nose, rested the flashlight on the steps and reached out with the fingers of my free hand to touch the nearest root. It wriggled against my palm. I cried out, staggered backward and fell against the stairs. The flashlight clattered to the floor and went out. Only the overhead bulb provided any light, and it didn’t reach this darkest corner. Something rustled. I struggled to my feet, grabbed the torch and ran up the stairs. I slammed the door shut and locked it, leaned against it and tried to slow down my breathing. A marathon runner couldn’t have panted more. I tapped the flashlight and it flickered into life, seemingly none the worse for its accident. I switched it off and set it on the floor by the cellar door. Whoever came to fix those roots was going to need it. I thought that was all the cold weather you've been having, Shey!